When I started researching museums that are working extensively with accessibility, especially accessibility for people with cognitive, developmental, or learning disabilities, I was fortunate to find the Museum Access Consortium of New York City. This was one of the main reasons I chose New York City as my main research hub; there is a huge concentration of museums, and the citizens of the metro area value and support museums to a greater extent than many other areas of the country. The MAC website led me to several different museum websites where I was able to learn about programs available to people with special needs. 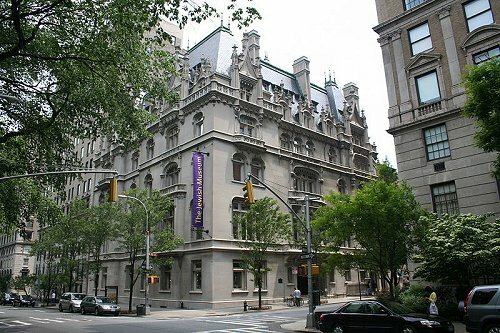 The first museum I visited was the Jewish Museum at 5th Avenue and 92nd Street, which is principally an art museum. There I met with Dara Cohen, the School Programs Coordinator. The museum offers several types of programs for people with special needs including: access school programs, visitors with sight impairments, hearing impairments, dementia, and learning or developmental disabilities. The museum also works with all general access groups including groups with autism, emotional disturbances, and more. Our discussion focused primarily on their programs for learning and developmental disabilities. 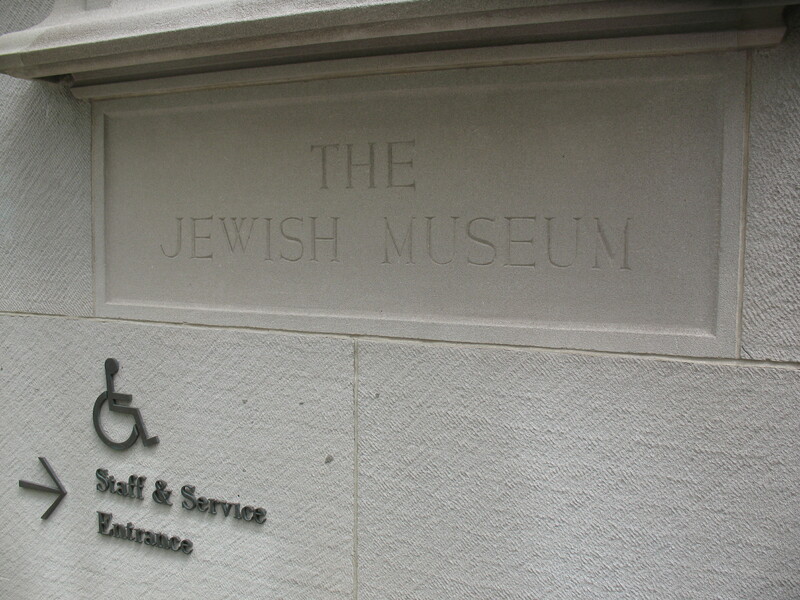 The Jewish Museum adapted their current programs for special needs groups that cater to groups with fewer children. The museum has specific access educators and hopes to train all educators sometime soon. Educators contact the school teacher in advance and talk with the teacher to adapt the programming; this provides more avenues for participation by the students. Dara made it clear that even with planning, there is still a lot of “on your feet” teaching and critical thinking involved with presenting programs to children with special needs. Being an art museum, the programs are very visual; they have a studio art component for all elementary age groups and access groups of all ages. For participation they might pick out a shape from the art piece and hold it, look at it, make the shape with their body, count the times the shape appears, etc. The museum also holds Sunday Workshops 4 times per year, that are open to the whole family, not just students. The audience is generally people with learning and development disabilities. This program was adapted from MOMA and Met offerings that were changed to fit the Jewish Museum. Dara estimated that 95% of students who attended these workshops have autism, a small percentage have Down Syndrome, and the rest of the percentage is made up of other disabilities or multiple disabilities. In the morning, the workshop is set up for children ages 5-17, which generally seems to skew to the 5-12 age group. The afternoon is for 18+ adults. Tours are led by an access educator, and they have gallery and studio time for a total time of 1-1.5 hours. 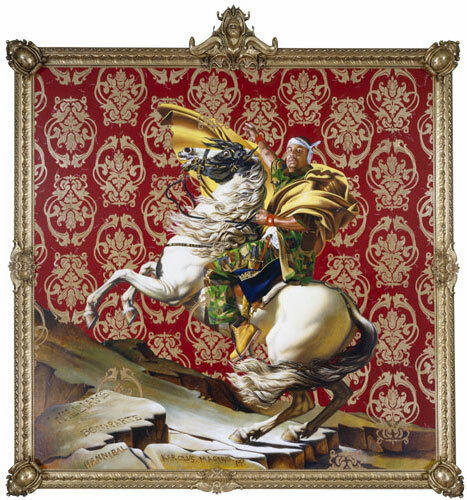 A recent example of a Sunday workshop activity was done in conjunction with the Kehinde Wiley exhibit. The group spends half an hour in the gallery with the works of art, and the gallery guide engages all members of the family with the art and subject. Wiley’s art is generally a African American male subject in traditional portrait form with an elaborate backgrounds which are inspired by Jewish paper cut-outs. In the studio, the family has a photocopy of one of the subjects that they can place on different backgrounds to explore how background, color, and shape can change the mood and expression of the art. In the studio, the family creates a paper cut out from butcher paper that they can use as their own background for a family portrait taken in the studio. Parental involvement is important at these workshops, and the museum wants to expand into a family day event with school partnerships. Attendance at the workshops varies, but including the family (siblings, parents of the special needs child) there are usually 15-20 people in attendance, with 7-8 of the attendees being the special needs child/adult. These programs are fully funded through grants, and they are free for the families. Dara is responsible for all access educator training, and the group of educators meet 4-5 times a year to duscuss teaching strategies about specific art pieces, listen to talks by consultants to help on certain things such as dementia, general management, strategies, different disabilities, and more. The Jewish Museum started creating these programs to expand and diversify their audiences. They looked at who was coming to visit the museum, and then explored how they could better serve them. It seems as if art museums have an easier time at adapting programs and drawing in the special needs audience. One reason for this might be that art museums are more about experimenting with concepts and the abstract. Concepts at history museums are somewhat more challenging to adapt. Security guards need to have some level of training to be comfortable working with people is disabilities. I had a wonderful time at the Jewish Museum (in spite of being 10 minutes late because of a subway mishap), and I want to thank the museum and Dara Cohen for having me and discussing their programs openly with me. It is a great place to visit! I will be talking more about the other museums as I post each week. I do know that the Tenement Museum, off the top of my head, offers only guided tours with no real reading involved, and at the visitor center they have a talking tablet (more info on that when we get to that post). The great thing about museums in NYC is the abundance of people who work at these museums that are willing to talk to people. Interacting with people who tell the stories, rather than just reading about objects, is the best way to convey information anyway. I’ll think more on this for the coming posts.